Zoho CRM could be anything you want it to be. The perfect CRM implementation should reflect the vision and hard work behind every business. Using our developer tools, you can integrate any external service with Zoho CRM. Whether your goal is to customize your CRM according to the service, achieve initial, instant or scheduled sync, anything is possible! Data inside Zoho CRM will be stored in modules. Modules are the building blocks in your CRM that contain data that are categorized according to your business process. Before you begin integrating your application, you need to make sure that the data from your service or any third party will be stored in the right module. The first task to do after you decide to integrate an external service with Zoho CRM would be to transfer data between CRM and external service. The data on both CRM and the external service might be in large volumes. Use the Zoho CRM's Bulk APIs to sync systems containing large amounts of data, especially if it's the first time you're transferring data. The Bulk Read API is optimized to retrieve a large amount of data from CRM in a single API call, thereby reducing the number of API requests needed. This is an asynchronous API, meaning the result will not be available immediately after making the request and you will get notified upon completion of the job. Through this API, you get to export a maximum of two hundred thousand (200,000) records in a single call, which you can upload to any external service. 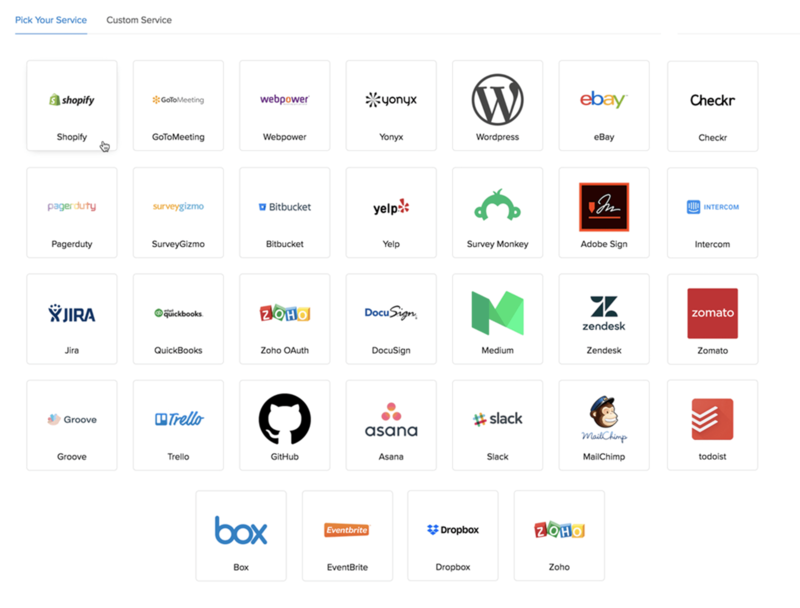 The Bulk Write API is optimized to upload a large amount of data that you retrieved from an external service into your CRM in a single API call, thereby reducing the number of API requests needed. You just need to make sure that the modules and fields of the data are matched in the CRM. You can create custom modules and fields to facilitate data storage as per your requirement. While instant sync of data is a much-needed process, there are some cases where data sync needs to take place in a delayed manner. For instance, taking a backup of your data daily, weekly, etc. You can use the 'If-Modified-Since' header to get the data that was modified after the time that was mentioned in the header. This header is available for REST as well as Bulk APIs. If the data update occurs in short intervals, you can use the REST APIs to push data every hour. 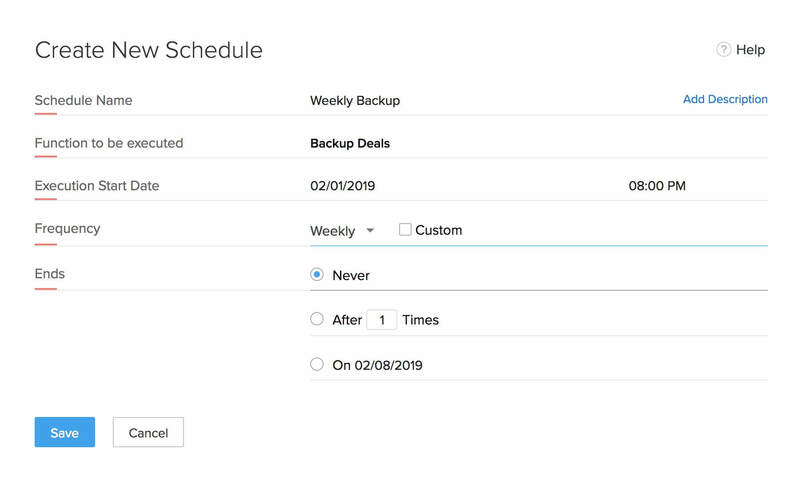 Or if it's going to be a daily backup, you can use the Bulk APIs to retrieve all of the data in one shot. You can use CRM Notification API's to have instant notifications be sent to a user-defined URL. This specialized API eradicates the need to send repeated polling API requests to check for data changes. Instead, you get notified whenever a data change occurs inside your CRM. On the other hand, whenever a data change occurs in your external service, you can use our REST APIs to push the changes into your CRM. The Notification API can be used to get instant notifications upon the completion of any action on data in your CRM. The action can be a record creation, data modification or data deletion. A notification is sent to the URL that you have to provide when subscribing. Get access and perform actions on almost all of the available components within CRM. You can fetch, create, update or delete any sort of information stored in your CRM account. All of the individual components in your Zoho CRM, like a record, module, a custom view, etc are available as resources that you can fetch using simple HTTP methods. It's no big deal if you don't own a server for your application. 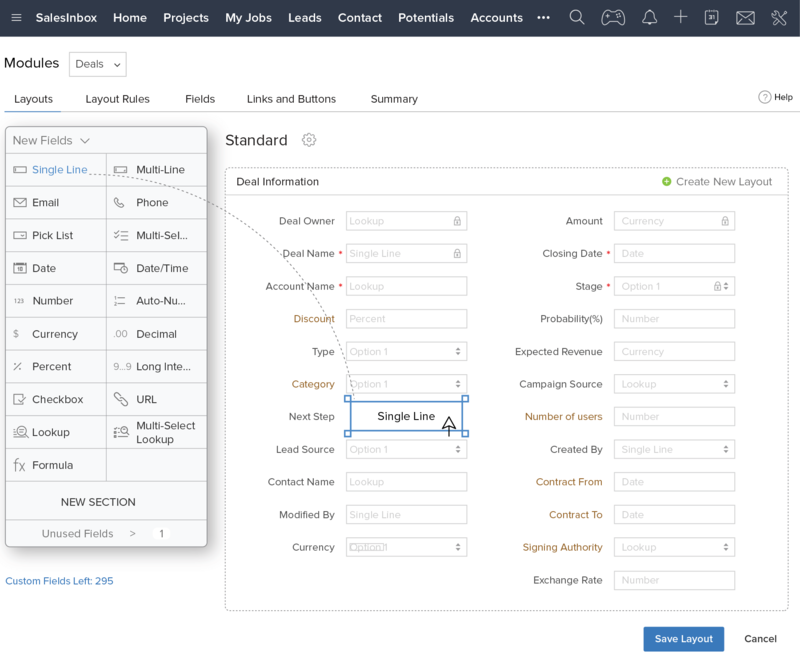 You can write your logic in Zoho CRM as Functions to connect, communicate, sync data with your external service and CRM or vice versa and make them available as API calls. 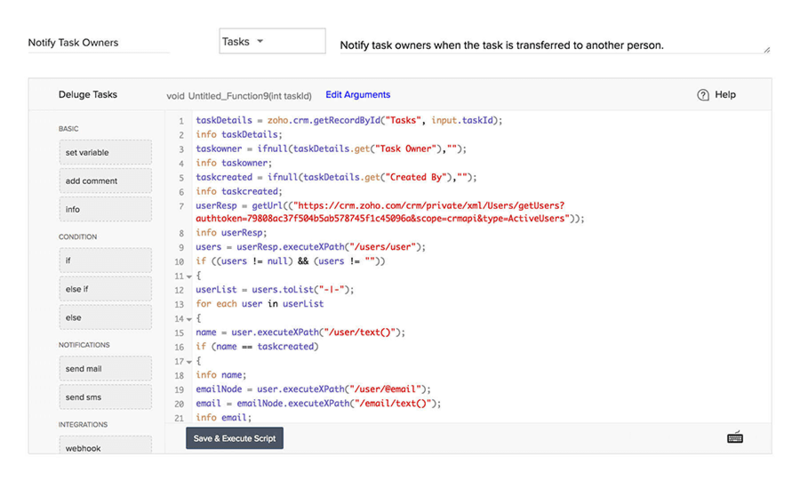 All of the APIs are available as method calls within Functions, and hence you can achieve initial, instant or scheduled sync all from within the CRM. You can turn the functions into REST API endpoint URLs. This gives the flexibility to trigger it from anywhere inside Zoho CRM or from any external service. Refer the links given below for more. If the external service has webhook support, you can schedule the data sync in Functions and call the Function URL in the service. Connections are simple authentication tools to connect Zoho CRM with any external service. Use this to invoke any external service's REST APIs and get access to your authenticated data from your functions or widgets. You can utilize/modify data of multiple applications from within your CRM. Schedules are automated user-defined actions that can be programmed to trigger at a particular time or on a recurring basis. The actions can be performed by coding the logic in Functions. When you don't actually need to transfer the data from your application, but just view it in your CRM contextually, you can create widgets. 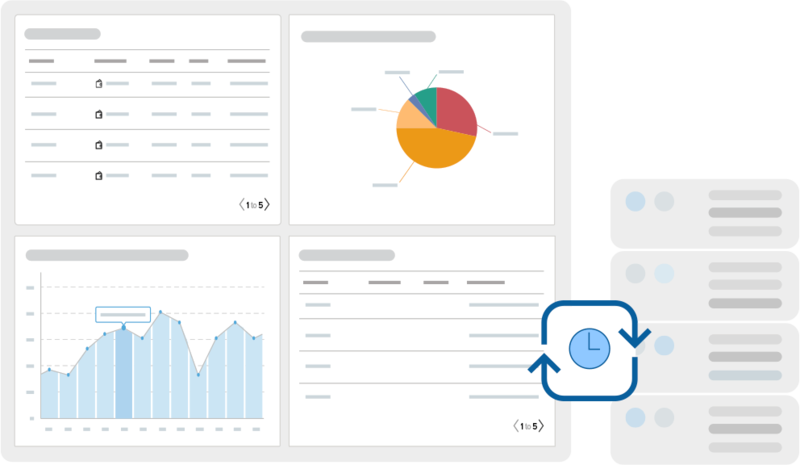 Widgets are embeddable UI components in CRM that lets transfer data between any third-party app and your CRM. to display the data required in various places, like a related list, home page, web tab, or in a custom button.